Jacinda Ardern, New Zealand’s 38-year-old prime minister, first captured the global imagination when she announced last year that she was pregnant. She was only the second leader to have a baby while in office, and Ardern showed the world that women can derive fulfillment out of motherhood and a career at the same time. Her partner elected to be a stay-at-home dad, as the couple shattered gender stereotypes and showed it was possible to wear various hats and still be happy, successful individuals. 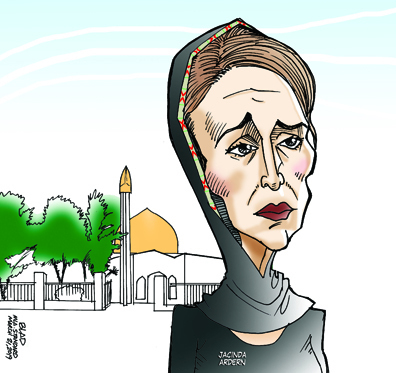 This week, Ardern again shot to worldwide fame after a somber incident: On Friday, a gunman attacked two mosques in Christchurch. Fifty people were killed and dozens were injured. It was described as the worst terror attack in New Zealand’s modern history. The New Zealand leader, however, did not allow hatred to blame certain sectors or vow revenge. Instead, she stepped up to the role of comforter, condoling with those who were affected by the tragedy. Observers have characterized New Zealand’s stance as one of healing and getting through the tragedy together. Ardern has been praised for her quiet, strong leadership and her empathy. Others have described Ardern’s stance as warmth balanced by steeliness, clarity and decisiveness. Her message reverberates with inclusiveness and diversity. Ms. Ardern’s demeanor during her country’s trying times must serve as an example to many other politicians purporting to be public servants—especially here in the Philippines, as elections draw near. Compassion and empathy radiate from sincere leaders. The public will easily perceive that they mean what they say and have no further agenda in mind. In contrast, there are those who milk any misfortune or tragedy for their own political ends. As a result, we have our present crop of leaders who feel entitled to the perks of their post and feel as though their public positions confer about them an air of untouchability. Indeed there are some things that even politics should not tarnish. As we ourselves commiserate with the people of New Zealand, we also yearn for the ability to perceive, among those vying for our votes, genuine desire to lead and serve.